The United Nations Development Programme (UNDP) has just launched the sixth phase of the Global Environment Facility (GEF) Small Grants Programme in Kenya. With a total budget of $4 million, the project is aimed at conserving biodiversity. Kenya has a high biodiversity, with national parks that are among the best known and most visited by tourists on the African continent. 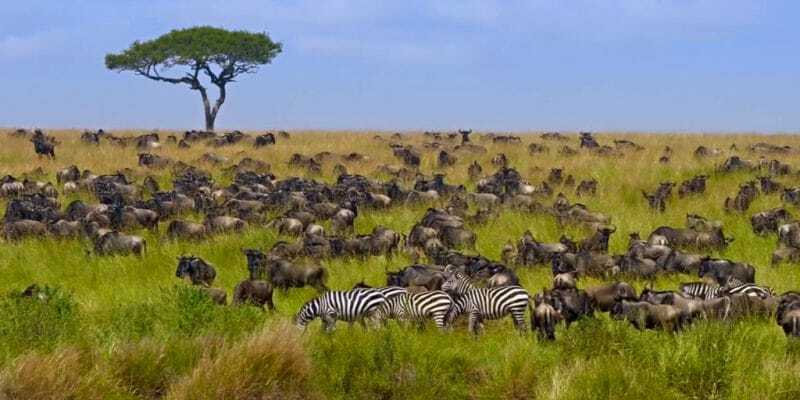 For example, the Masai Mara National Park, known for its beautiful wildebeest population, or Lake Nakuru National Park, with its myriad of water birds. These natural sites, which are a significant source of income for Kenya, need to be protected. The United Nations Development Programme (UNDP) has just launched the sixth phase of the Global Environment Facility (GEF) Small Grants Programme in Kenya. It is intended to protect biodiversity. The project will require an overall cost of $4 million. The money will be injected by the GEF. To implement it, UNDP plans to rely on NGOs that work directly on the ground with the poorest populations. They are the ones who, in seeking to survive, cause biodiversity degradation. “UNDP strongly supports community-based approaches because they help national governments promote people-centred development solutions,” said Catherine Masaka, Deputy Director of UNDP Operations for Kenya. In the field, however, it is the Civil Society Organisation (CSO) that should work with NGOs. Three counties are targeted under this project. Baringo, in the west of the country, where the objective is to protect the Lake Bogoria National Reserve. But also Kilifi, in the southwest, where protecting the production landscape of the sacred forests of Mijikenda kaya will be at the heart of OSC’s action. Finally, in the same region, more specifically in Kwale County, where the Shimoni-Vanga marine landscape will also be preserved. In the localities concerned, NGOs will provide electricity to the population from renewable sources such as biogas, solar and (small-scale) hydropower. They will also help to set up income-generating projects based on nature and biodiversity conservation, such as beekeeping, ecotourism, rehabilitation of degraded indigenous forests and the restoration of degraded soils. “It has been proven that agriculture lifts as many people out of poverty as possible. The UN family will work with government and the private sector to ensure food security and resilience,” said Siddharth Chatterjee, the UN Resident Coordinator in Kenya. The project will run for a period of 4 years.